As you may know The Cortile is managed by the Pittsburgh Vintage Grand Prix Association which is a a 501(c)(3) non-profit organization with a mission to hold a world-class vintage automotive event for charity. It is the region's premier summer July automotive event with an average of 250,000 attendees on Race Weekend, the culmination of the 10 day race week. The Pittsburgh Vintage Grand Prix is quite a unique vintage racing event. It is not only America’s largest vintage race, but the only one run on city streets – the way sports car racing began. The #PVGP is proud to host one Western Pennsylvania’s premiere events, one whose mission is to celebrate and honor our founding vintage auto enthusiasts while simultaneously using this venue to benefit charity. 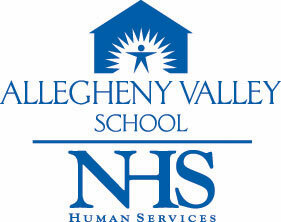 Funds raised help provide residential care, treatment and support for autistic and developmentally disabled individuals in the greater Pittsburgh area through the Autism Society of Pittsburgh and Allegheny Valley School. An exciting event that delivers proven results for you and for charity. The Pittsburgh Vintage Grand Prix offers an extensive selection of sponsorship opportunities for your organization to become part of our celebrated event. Race Weekend at Schenley Park is the perfect venue for you to entertain your customers; throw a party for your employees; raise awareness of your organization; showcase your product; or simply watch the races with friends and family. Ladies & Gentlemen……. Start YOUR marketing Engines!!! Provides your organization with access to 200,000 spectators throughout our Race Week including the country’s largest vintage racing event and the only one held on city streets in Schenley Park. Our unique venue at Schenley Park provides numerous opportunities for your organization to promote or sell your product, entertain your customers, solicit prospects or enjoy the weekend with your employees. The natural park setting is ideal for setting up large displays, tents and conducting product demonstrations. Promote your community support of our event and charities through our web, outdoor and print advertising as well as on-site promotion with PA announcements, banners and race program advertising. This sponsorship is reserved for Automotive Manufacturer's and/or Automobile Dealers who are displaying cars. 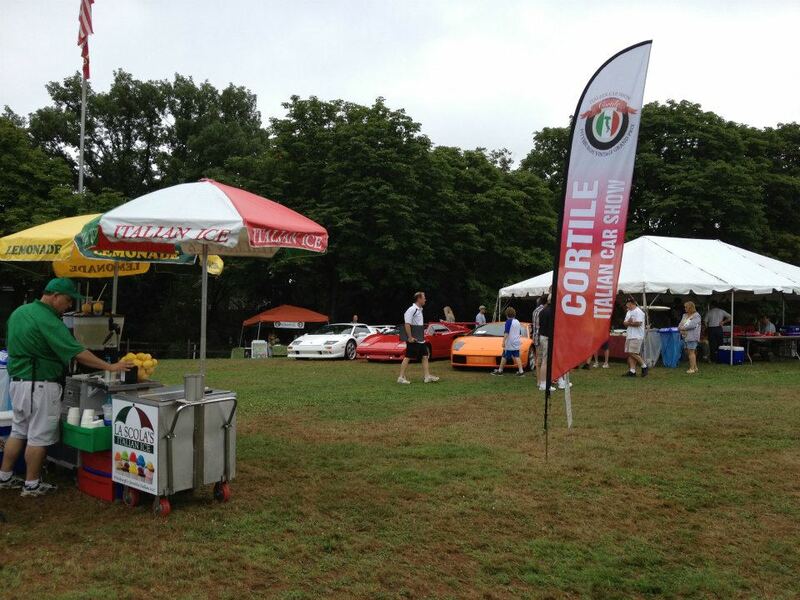 It is a prime location within the Italian Cortile Car Show on the Schenley Park Golf Course on PVGP Race Weekend. You can exhibit and market new up to 8 vehicles. You can invite up to 24 customer cars who will enjoy all of the amenities available to a car show participant/registrant. You can exhibit and market new up to 6 vehicles. You can invite up to 12 customer cars who will enjoy all of the amenities available to a car show participant/registrant. You can exhibit and market new up to 4 vehicles. Become a vendor during our Schenley Park Vintage Races on the July 18/19, 2015 Weekend. This is an excellent opportunity for you to display and sell your products and services to over 200,000 spectators over the weekend. Tents are included with each spot and tables and chairs are available to rent. Sponsorship includes a supplied and erected 15' x 15' tent with a backwall. Vendor set-up is from noon – 5:00 PM on Friday and from 8:00 Am – 10:00 AM on Saturday morning. Vendors must be moved out by 8:00 PM Sunday. Sales should begin by 10 AM and close at 5:00 PM each day. Your display is built on a golf course so it cannot involve RV’s, heavy trucks, heavy handling equipment or building materials. Sponsorship includes a supplied and erected 10' x 10' tent with a back wall or an approved display of your own. Vendor set-up is from noon – 7:00 PM on Friday and from 8:00 Am – 10:00 AM on Saturday morning. Vendors must be moved out by 8:00 PM Sunday. Sales should begin by 10 AM and close at 5:00 PM each day. This village is built on a golf course so your display cannot involve RV’s, heavy trucks heavy, handling equipment or building materials. This sponsorship is designed for the companies that would like to support the Cortile, The Pittsburgh Vintage Grand Prix and our charities, but can't make it to the event. This sponsorship provides some wonderful year round exposure for your company at a nominal cost. Web pages are linked out to the various Cortile and Pittsburgh Vintage Grand Prix Social Media platforms though out the year so this is an excellent opportunity to get your name out and help out the PVGP charities at the same time. The Pittsburgh Vintage Grand Prix Association is a 501 (c) (3) non-profit organization with a mission to hold a world-class vintage automotive event for charity. It is the region's premier summer event for hundreds of thousands of automotive enthusiasts in that it combines charitable fundraising with car shows and vintage sports car racing on city streets. The 2015 Race Week runs from July 5th through the 19th culminating with our 33rd annual vintage races and car shows at Schenley Park on the weekend of July 18-19. Since 1983 this volunteer-driven event has raised over $3.5 million for the Autism Society of Pittsburgh & Allegheny Valley School. Sponsorship starts Jan 1 and ends Dec 31. The Pittsburgh Vintage Grand Prix provides an opportunity for existing sponsors a 'right of first refusal' to to match or exceed a new sponsors bid for Prioetorre Macchina. Prioetorre Macchina sponsorships are open and subject to events of historical significance within the Automotive industry. Prioetorre Macchina requires approval by the Cortile Selection Committee. The Pittsburgh Vintage Grand Prix and the Cortile reserve the right to have a sponsor or member of the sponsor team removed from the show grounds at our sole discretion. Booth/ Display set up MUST be completed by the Friday at 5pm prior to the Saturday event opening. No trucks or equipment are permitted for sponsors on Saturday Morning. Feb 15 - Any and all art work, graphics must be submitted to the Cortile. Brand Identity format requirements will be provided in advance. March 31 - Copy, Content, Contacts, Links, etc for your landing page on the Cortile website must be submitted. June 1 - Booth Staff: Names, Titles, Cell Phone, Email, and Bio (if desired) should be submitted by this date. July 1 - Final 1/3 Payment is due. Entrance to the show area will not be permitted until the final charitable payment is received. Name badges for staff MUST BE submitted to the Cortile by June 25. Here is a list complied by a few of our experienced sponsors. All items may not be necessary for your set-up, but they may help trigger some other ideas.